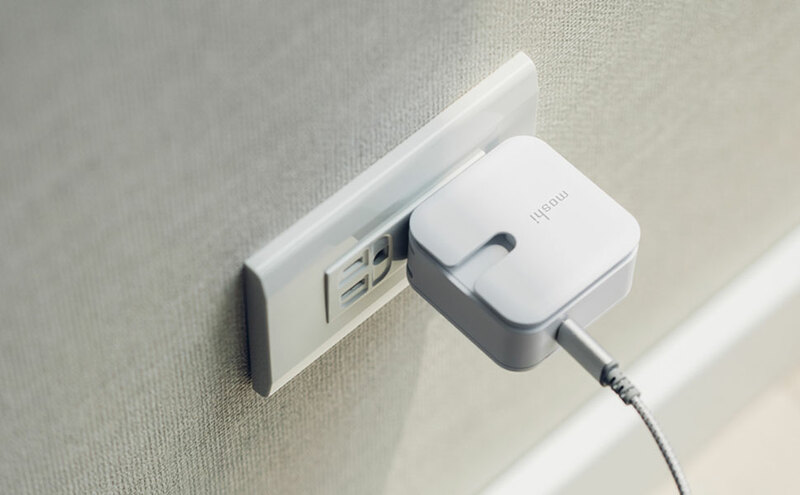 Charge your USB-C devices with a travel-friendly and energy-efficient wall charger. 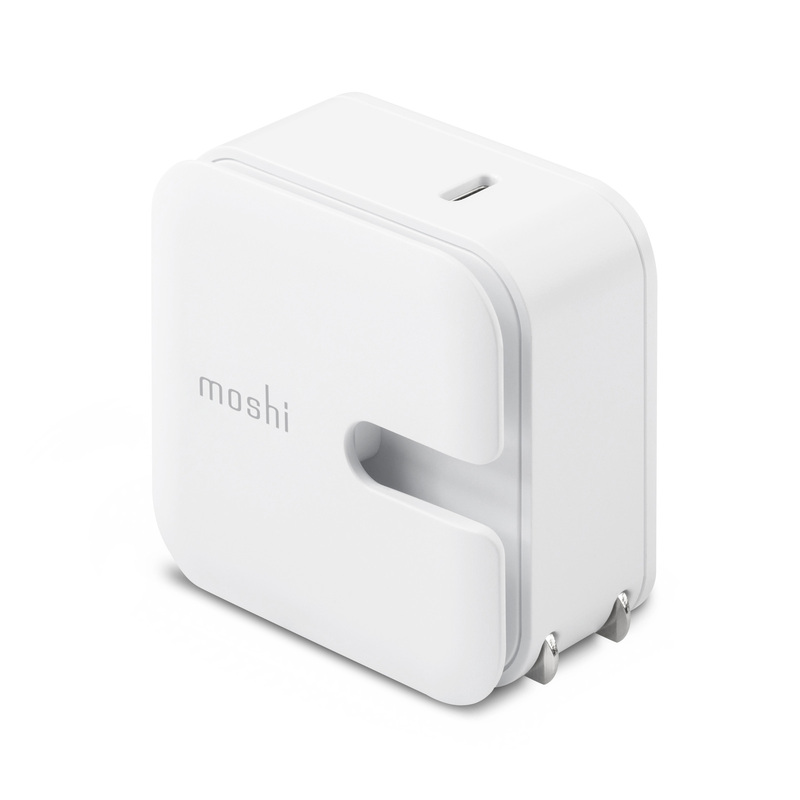 Features USB PD fast-charging up to 30 W, cable management, and a compact folding design. 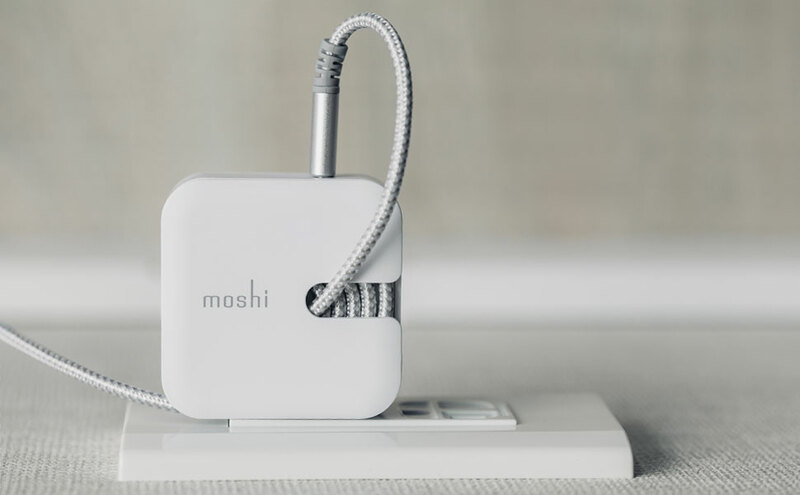 Travel friendly folding plug blades. 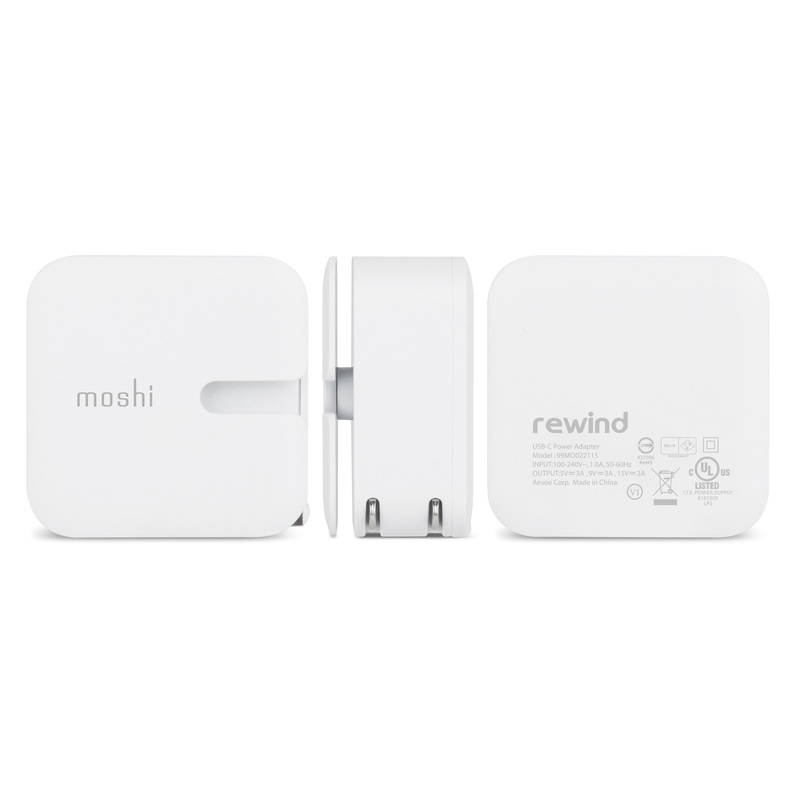 Use Rewind C to upgrade the charge time of your iPhone and Android devices or as an ultra-portable MacBook charging solution. 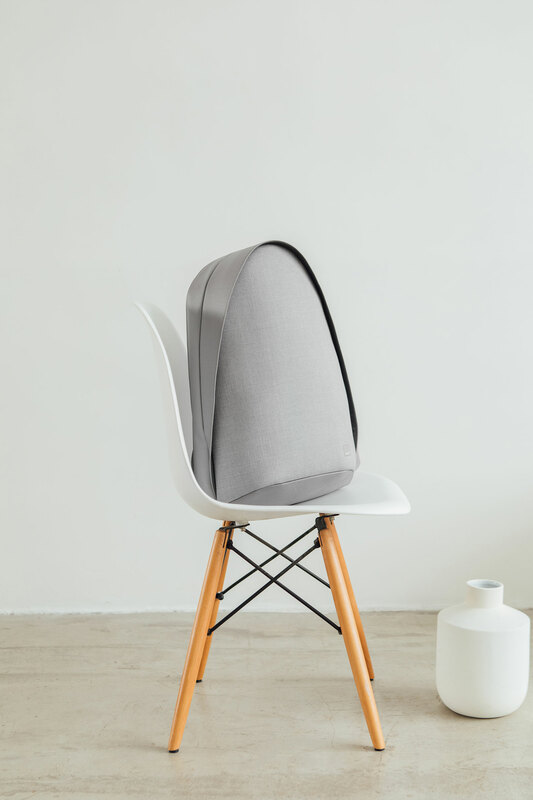 Integrated wrap-around cable management groove keeps your cable tidy. 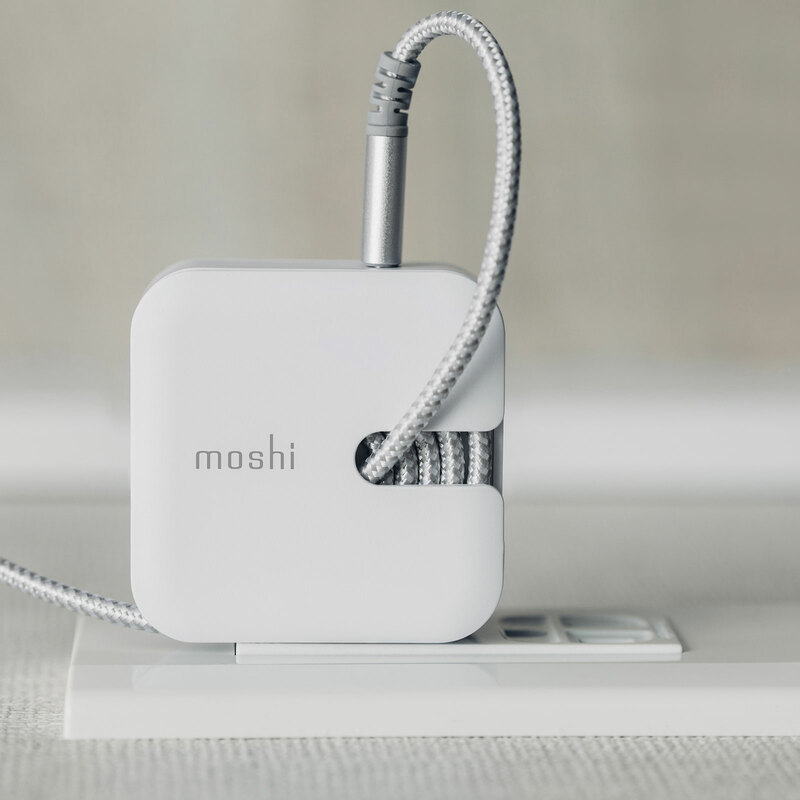 Moshi’s Rewind C USB-C wall charger is ideal for users who want a compact charger that is lightweight and powerful. 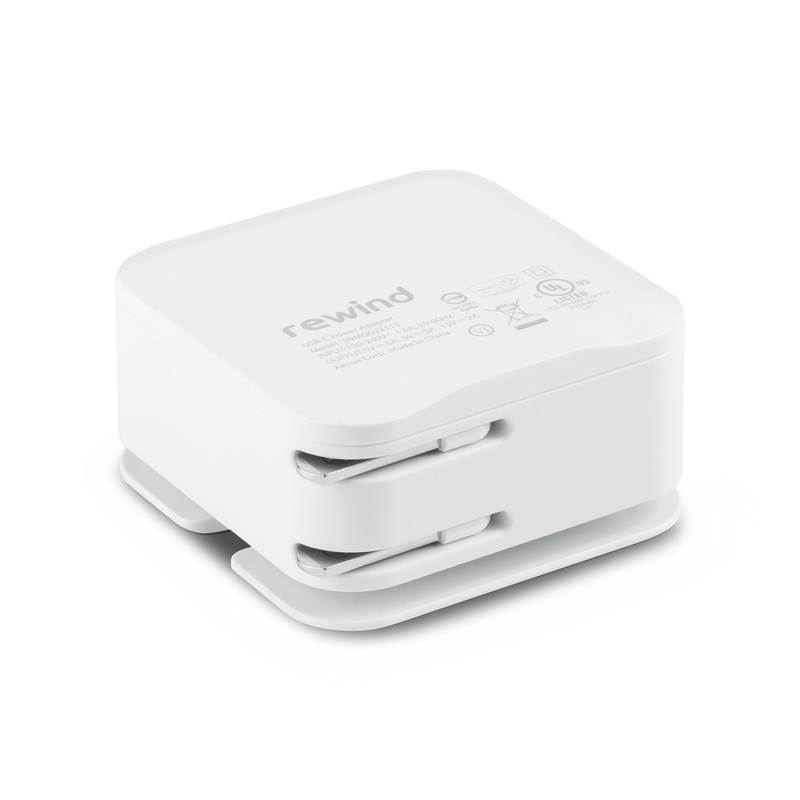 Outputting up to 30 W, Rewind C charges all your favorite devices including your phone, Nintendo Switch, and MacBook (charging times depend on device specs). 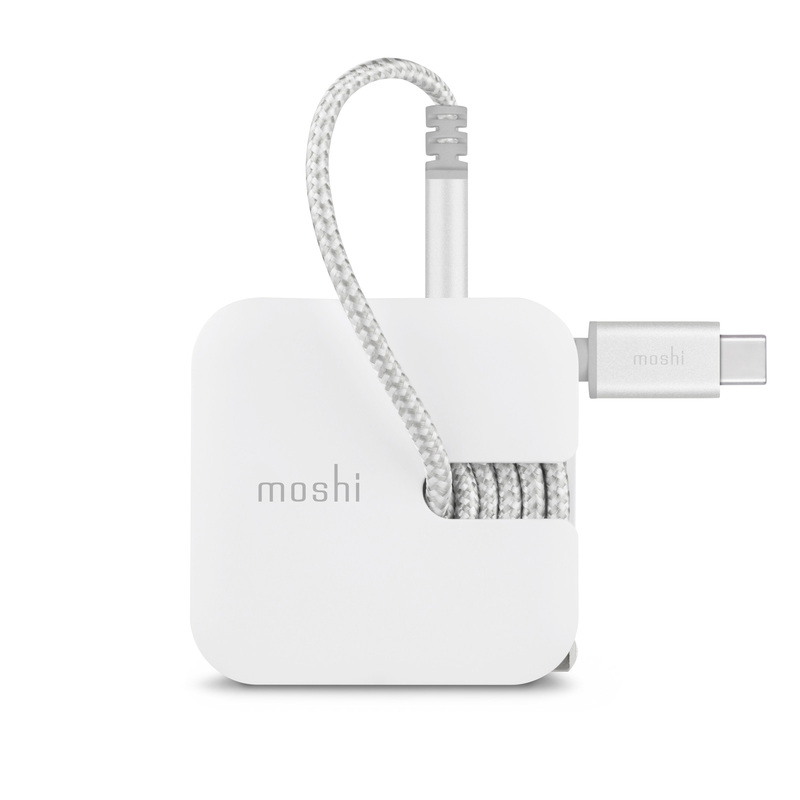 The charger’s folding blades create a travel-friendly form factor, while its cable management groove keeps your cable neatly organized. 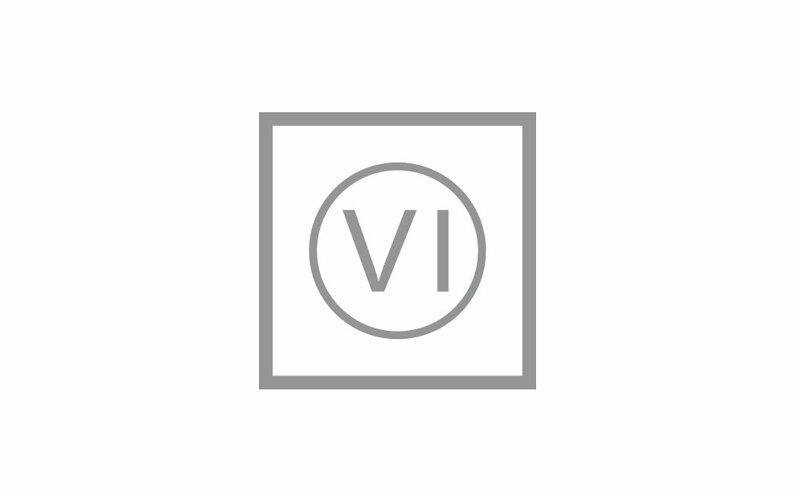 Built with safety in mind, Rewind C’s power management circuitry provides overcurrent and surge protection, and is compliant with the US Department of Energy’s Level VI efficiency standard. 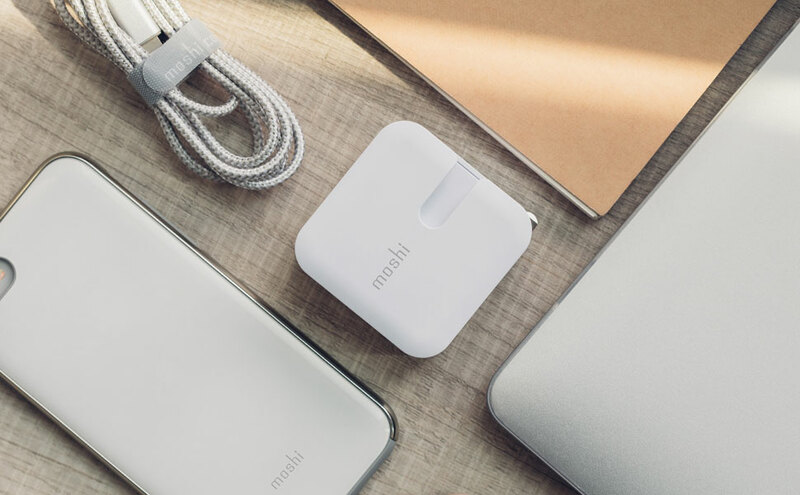 Use this charger with our Integra USB-C cable (1 m) for an extremely durable and compact portable power solution. 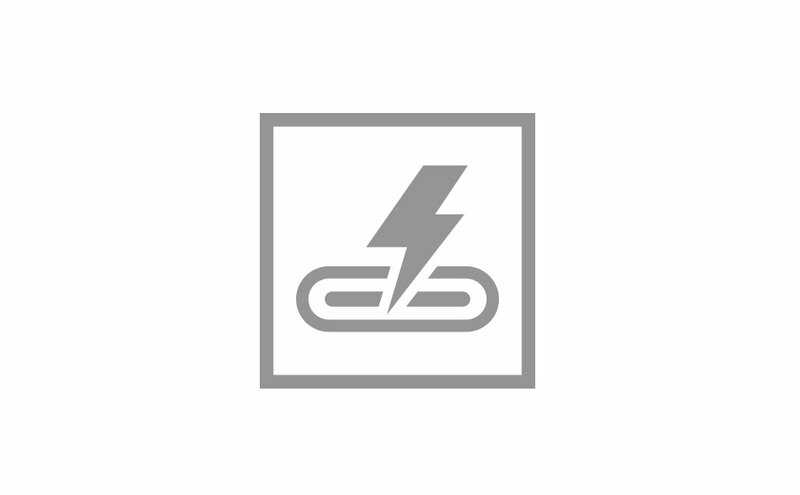 Supports USB PD 3.0 profiles (5/9/15 V) with power output up to 30 W (maximum 15 V/2 A). 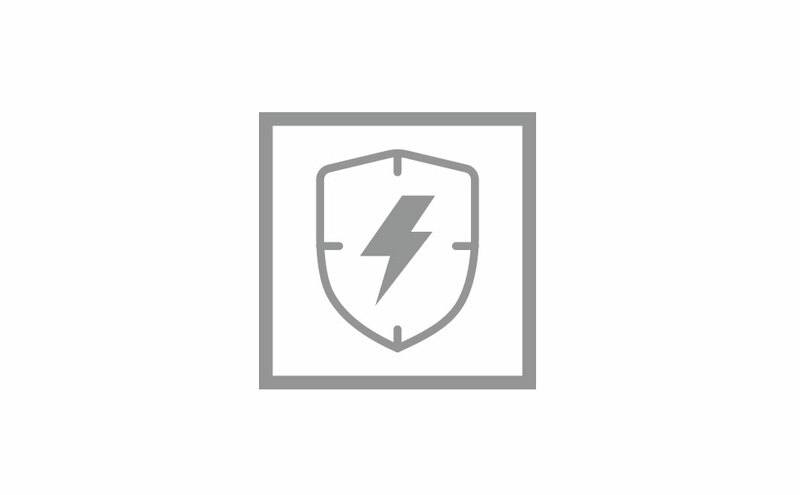 Built-in overcurrent and surge protection for demanding power usage scenarios.